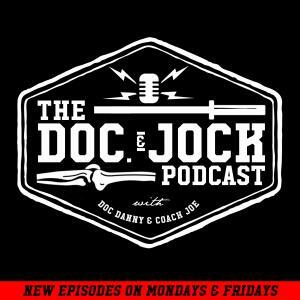 Dr. Danny tackles a question left to Doc and Jock via an iTunes review. "I am following a strength plan around squatting with a barbell every day. What do you guys think about the bodies ability to adapt to something like this? Also, what are the biggest areas I should focus on with my mobility?" The short of it is that it depends. how much time are you willing to put into recovering between sessions, is your movement good, and what are your goals as an athlete. Regarding mobility, without managing your individual needs, hips, ankles, and thoracic spine are great place for most people to start.